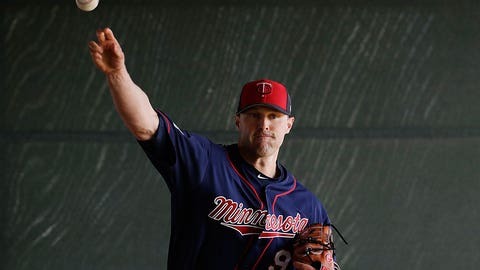 Key moves since preliminary grade: Signed RHP Matt Belisle; signed LHP Craig Breslow, C Chris Gimenez, IF Ehire Adrianza and OF Drew Stubbs to minor league contracts; traded RHP Pat Light to Pirates for player to be named later. The Twins still have slugging second baseman Brian Dozier—under club control for two more seasons, to boot—which isn’t a bad thing given that the expected prospect haul they were looking for in a trade just wasn’t there. Minnesota got better at catcher (Jason Castro is an outstanding pitch framer), which could help lift an uninspiring rotation, but few of the players signed since we took an in-depth look at their off-season moves figure to do much to help the club improve on last year's 103-loss season. Any step forward the franchise takes this year will be thanks to healthy, productive seasons from outfielders Byron Buxton and Max Kepler, infielder Jorge Polanco, third baseman Miguel Sano and pitcher Jose Berrios.